Keerthy Suresh said that she actually lost weight to play the younger version of Savitri and used prosthetics to play the older version. 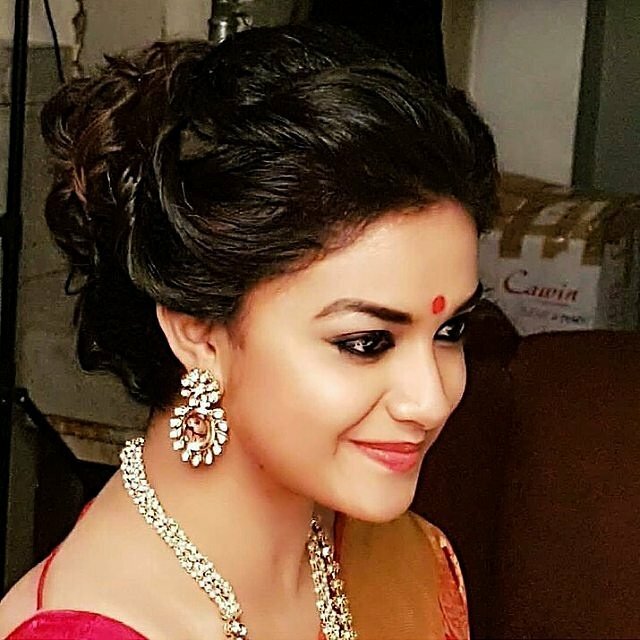 The much-loved Keerthy Suresh will soon be seen playing the lead role in the eagerly-awaited Savitri biopic—Mahanati. And, needless to say, she is quite excited about the same. During a recent chat with a leading daily, she said that the yesteryear star’s god-like image makes this an extremely challenging project for her. She added that the makers will not merely telling her story through the film but will also be playing a proper tribute to her. “Telugu audiences treat her life like that of a goddess, so it was important that I play her fittingly on screen. When Nag Ashwin (director) told me the film was being made as a tribute to Savitri, that’s when I realised the importance of the biopic. He told me that I didn’t have to look like Savitri, and that they’re merely narrating the legend’s story through me,” added the actress. Interestingly, earlier it was rumoured that Keerthy had put on weight to play Savitri on the big screen reacting to these rumours, she said that she actually lost weight to play the younger version and used prosthetics to play the older version. “I actually lost weight to play the younger version of her character. To play the older portion, we used prosthetic. People need to look at this story beyond all these things. Savitri’s life was so fascinating. When people talk about her life, it’s mostly about how she started drinking towards the end of her career or how she gained too much weight. But there’s so much more about what made her one of best actresses of her era,” she added. Well, we wish Keerthy good luck and hope that Mahanati proves to be a success at the box office. On a related note, this is a busy time for the lady. Besides Mahanati, she also has Saamy Square in her kitty.